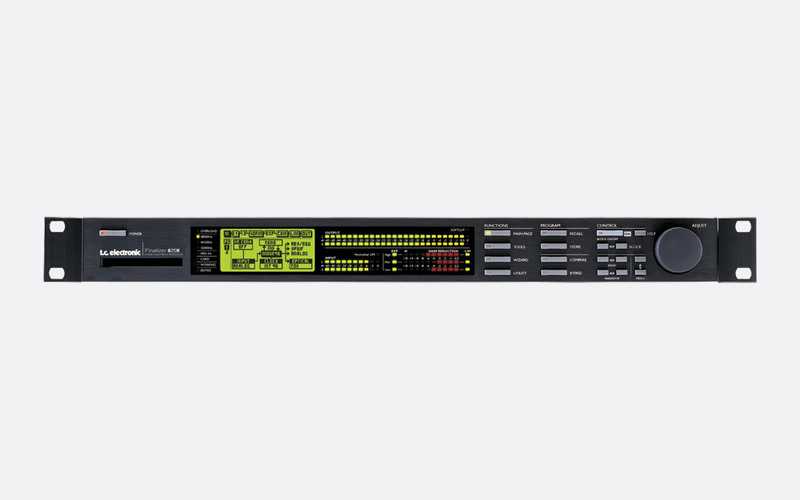 The Finalizer 96K is a rack-mounting audio mastering processor which 'delivers an unprecedented level of clarity, warmth and punch to your mix' and creates 'that radio-ready sound that was previously unattainable outside a professional mastering house'. 96 kHz internal and external processing 'puts the world of professional mastering within reach of every studio - large or small'. TC Electronic has a reputation for designing and manufacturing signal processing equipment of the up most quality for the broadcast, live sound reinforcement and post production audio markets. The Finalizer 96K is a mastering processor for use in studios of any size to add clarity, warmth and punch to the audio output. Using the 56 x 128 dot graphic LCD display, the user can select and recall any one of 30 internally stored presets or begin the wizard function process. The wizard function allows the user to automatically set the type of processing based on four multiple choice selections. The Finalizer 96K then sets parameters such as limiting, multi band expansion, gain maximisation, compression and dynamic EQ. The settings can be stored to one of 128 RAM preset slots, or to an external PCMCIA memory card (up to 2MB SRAM) if inserted into the memory card slot located on the front panel. The Finalizer 96K also has a range of useful audio analytic tools such as phase correlation meter, level flow meter, peak hold meter, and digital i/o status. Analogue inputs: 2x balanced 3-pin XLR, 20k ohms. Analogue outputs: 2x balanced 3-pin XLR, 100 ohms. 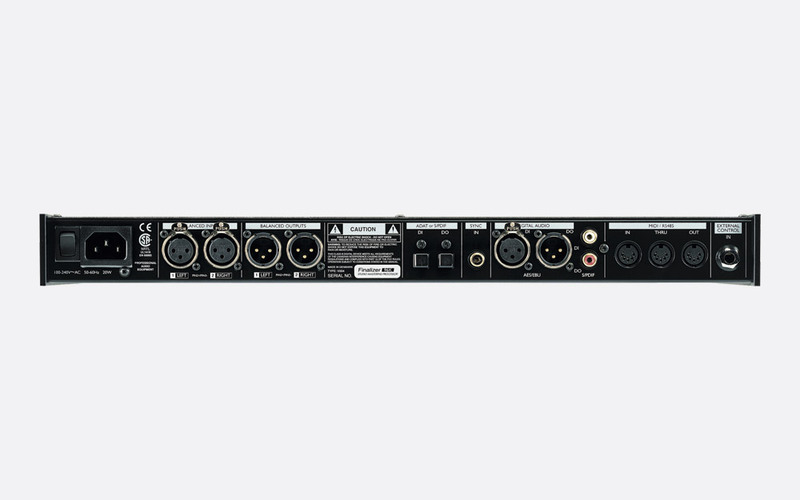 Digital inputs and outputs: 3-pin XLR, AES/EBU; RCA phono, S/PDIF; Optical, Toslink/ADAT. Word clock input: 75 ohm RCA phono. Sample Rates: 32kHz, 48kHz, 88.2kHz, 96kHz. MIDI: In, out, thru. Dimensions (WxHxD): 483 x 44 x 208mm. Weight: 2.35kg.